Euan is using Smore newsletters to spread the word online. He worked at Bletchley Park, during World War 2, to try and decipher the enigma code. He also, along with Gordon Welchman, created a machine to break Enigma called the Bombe. Turing was one of the people who worked on the first computer. He was the first person to think of using a computer to do things that were too hard for a person to do. 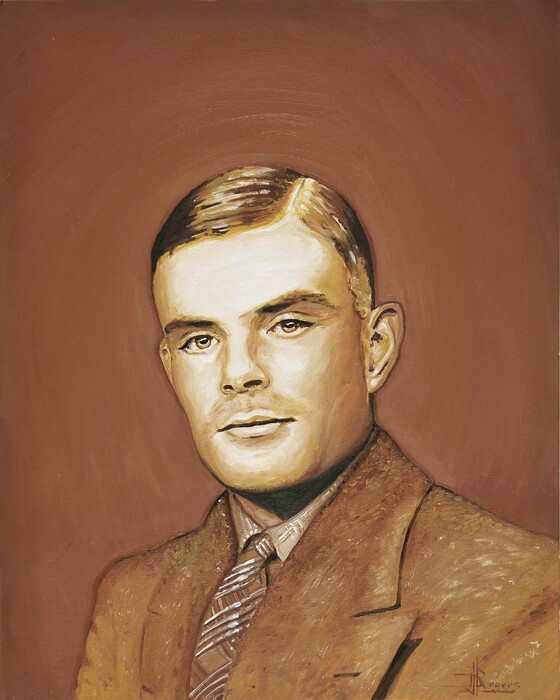 He created the Turing Machine in 1936. The machine was imaginary, but it included the idea of a computer program. Turing was interested in artificial intelligence. 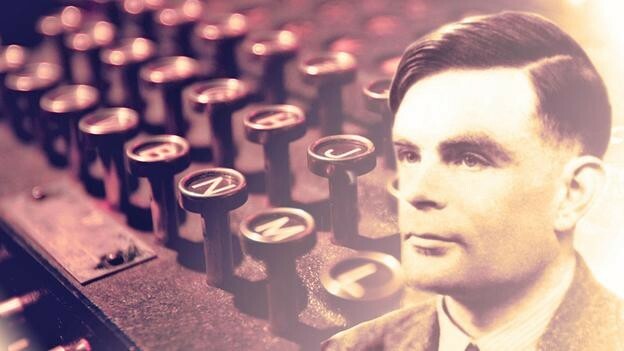 He proposed the Turing Test, to say when a machine could be called "intelligent". A computer could be said to "think" if a human talking with it could not tell it was a machine. 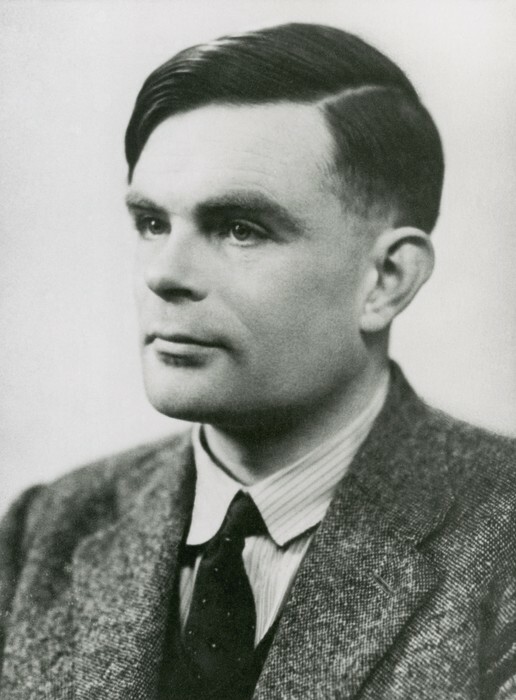 During World War II, Turing worked to break German ciphers (secret messages). Using cryptanalysis he helped to break the codes of the Enigma Machune. After that, he solved other German codes. 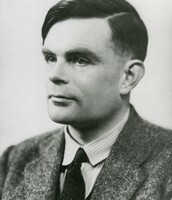 From 1945 to 1947, Turing worked on the design of the ACE (Automatic Computing Engine) at the National Physical Laboratory. He presented a paper on 19 February 1946. That paper was "the first detailed design of a stored-program computer". Although it was possible to build ACE, there were delays in starting the project. In late 1947 he returned to Cambridge for a sabbatical year. While he was at Cambridge, the Pilot ACE was built without him. It ran its first program on 10 May 1950. When you press a key on the keyboard, it will go through an electronic circuit and will end up causing a flashing light on the lampboard. It will then go into the plugboard and switch to another letter. Then it will go through three wheels which change the letter, according to the setting for that day then it will go to the reflector which will change the letter yet again and will send back through the system to the lampboard. 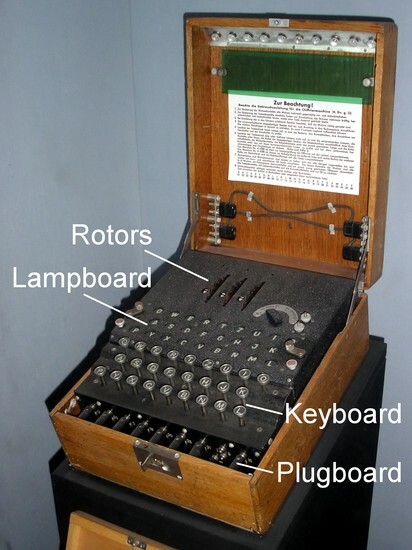 If you use an enigma code emulator - http://enigma.louisedade.co.uk/enigma.html , you can try making your own enigma writing. I typed in "Hello My name is" and the code was "ILBD ACXM LVNX J". It groups the letters in blocks of 4 or you can change the block size. If you type "A", the code you get back will be different every time because the settings change.